Motorists have struck and killed three people walking or biking on Denver streets so far this year. While some crashes were briefly reported in the media and announced by the Denver Police Department, no deaths were reported until now. Luis Ordonez-Gamez, Arlene Milner, and Gerard De Pompa Jr. each lost their lives while trying to get around the city on foot and by bike. Denver has no formal process to inform the public about traffic fatalities (Denver PD often — but not always — reports them via Twitter) so Streetsblog Denver checked in with the department to get an update. Police released information on each crash when asked, but the city should develop a standardized way to keep people apprised. It’s hard to hold government accountable for traffic safety when fatal crashes go unnoticed. Ordonez-Gamez was crossing Tower Road near 69th Avenue just after 6 a.m. on February 15 when Thomas Poliwka struck him with a Dodge Durango at “a stated speed” of 40 mph, according to the police report, which cites testimony from two witnesses who were driving behind Poliwka. Crash reconstruction teams estimated the driver’s speed by examining tire marks and blood patterns, Denver PD spokesperson Jay Casillas said. There was no evidence that the driver was distracted by a mobile device, Casillas said. Tower Road is a four-lane street with a posted speed limit of 40 mph. Investigators blamed the victim for his death — Ordonez-Gamez was crossing mid-block — and did not charge Poliwka. But the closest crosswalk, at 69th, is not marked in any way and has no traffic control device to stop motorists while people cross. Ordonez-Gamez was a pilot and flight instructor from California who was in the hotel district near the airport for training, according to a fundraising page for his family. He is survived by his wife and two young sons. On March 1, Daniel Esquivel struck and killed Arlene Milner, 89, as she walked across West Virginia Avenue at Shoshone Street, a residential area of Athmar Park. Esquivel, 24, “failed to observe” Milner in an unmarked crosswalk, though he was driving his Jeep Grand Cherokee at 15 mph in a 25 mph school zone, according to the police report. Esquivel faces a charge of careless driving resulting in death, a misdemeanor. Asked if Denver PD knew why Esquivel failed to see the victim, Casillas said that information isn’t public because the case is awaiting a court date. “She lived a full life and touched many as a devout Catholic, wife, mother, grandmother, teacher, friend, and neighbor,” Milner’s obituary states. 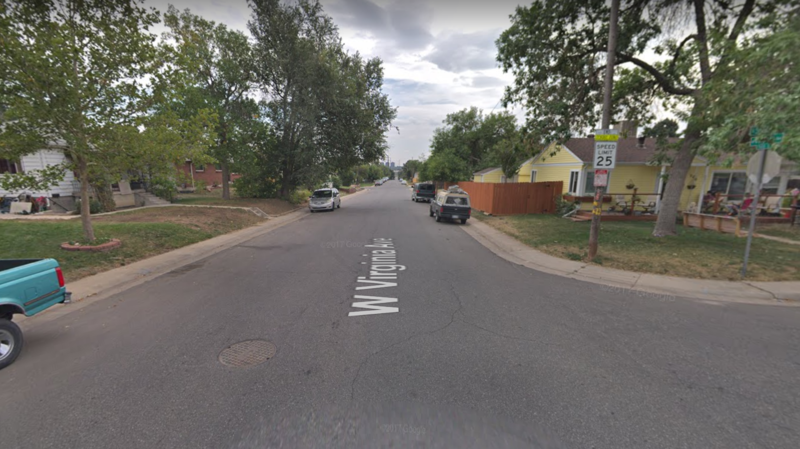 De Pompa, 62, was struck and killed while riding his bike near 38th Avenue and Utica Street in northwest Denver on February 26. Details are scarce. The case is still under investigation and the crash report isn’t publicly available yet, Casillas said. “He is survived by his wife, Tammy De Pompa, daughters, Danielle Landeros, Melissa Diaz-Vasquez and numerous extended family and friends,” De Pompa’s obituary states. Denver PD did not tweet information about this crash. Not trying to diminish the personal tragedy stories but I did become curious. In the past week, there have been 10 pedestrian traffic fatalities in the Phoenix metro area reported by The Arizona Republic. Two more people were left in critical condition during that period.